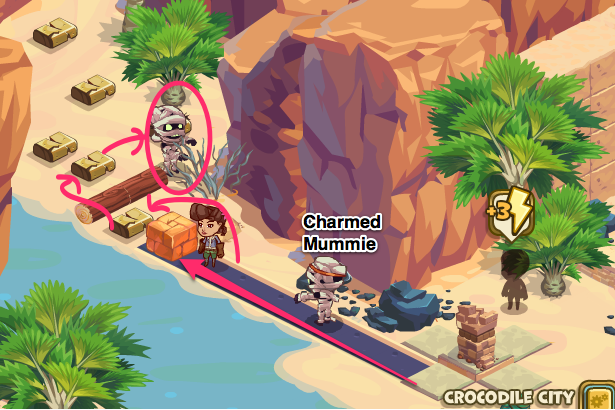 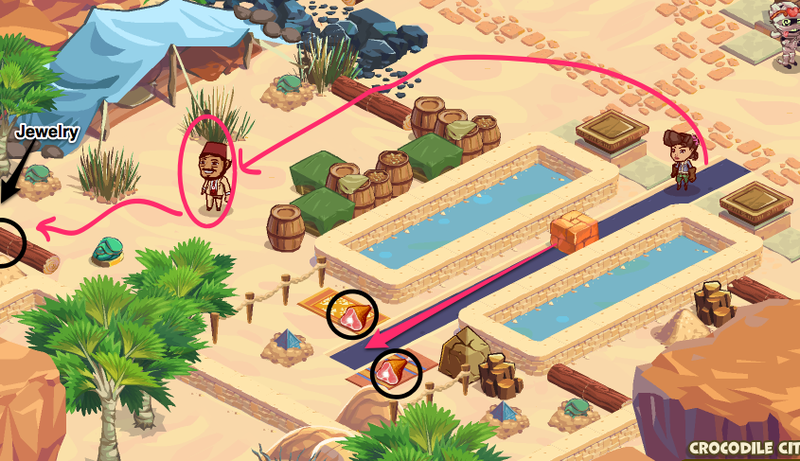 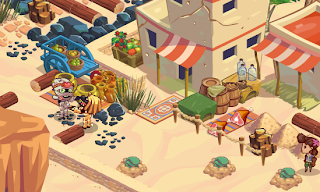 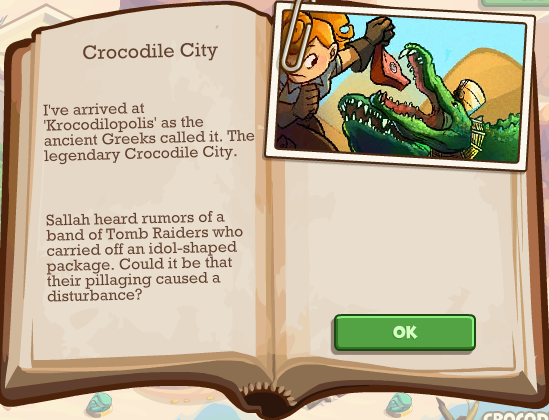 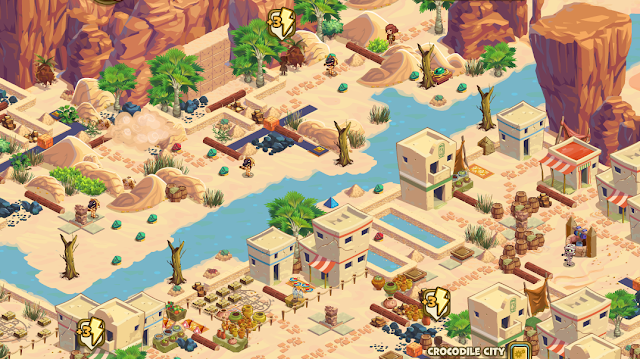 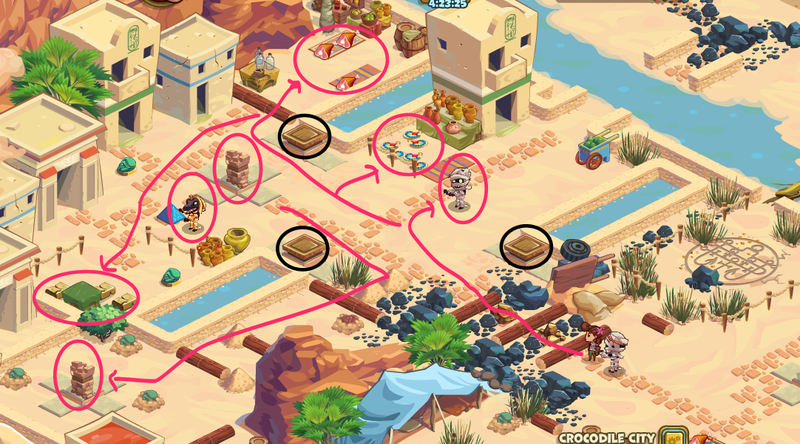 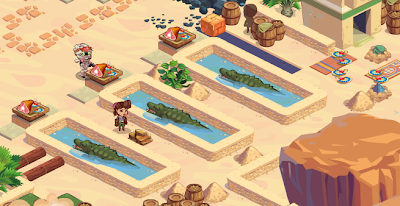 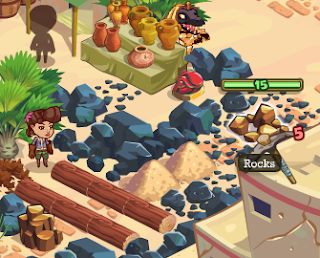 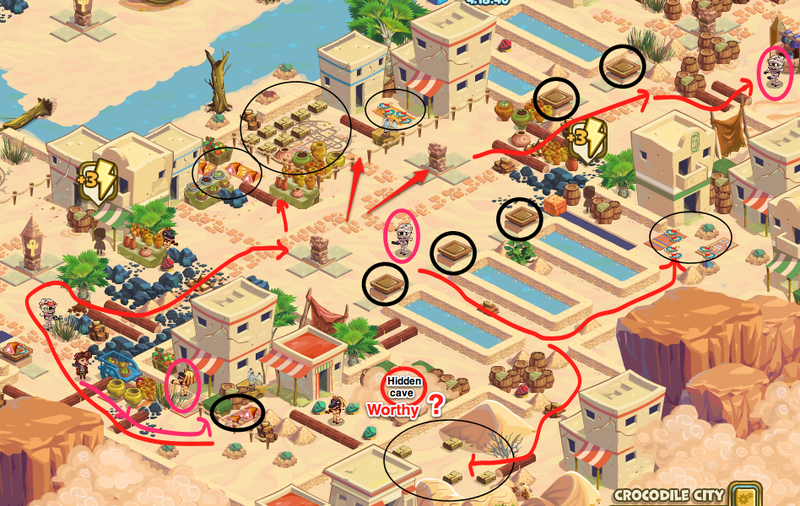 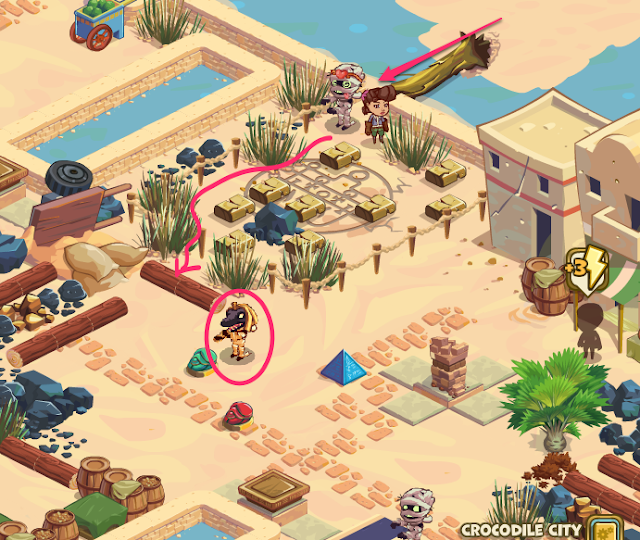 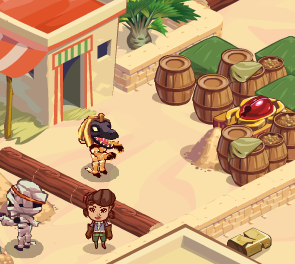 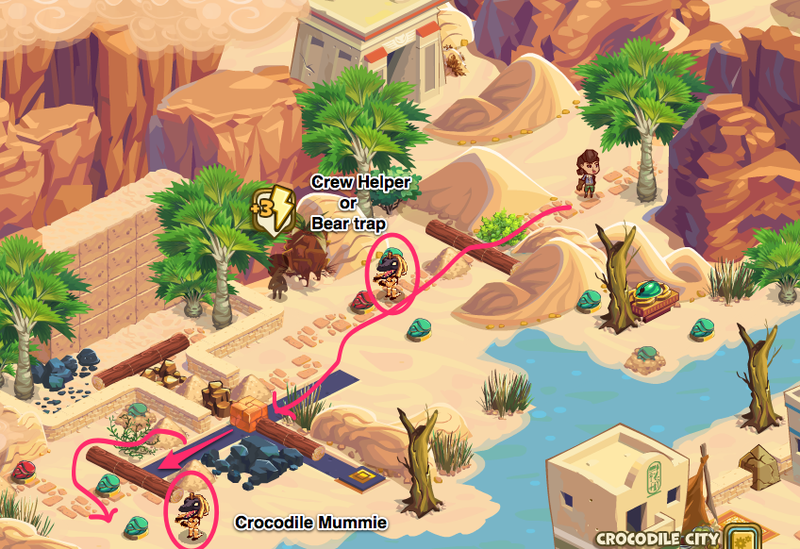 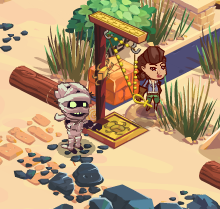 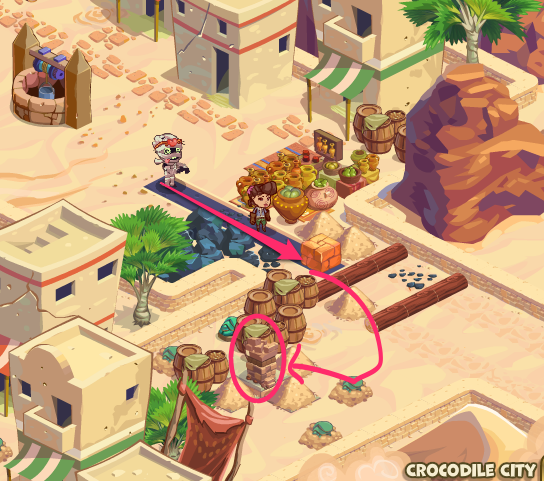 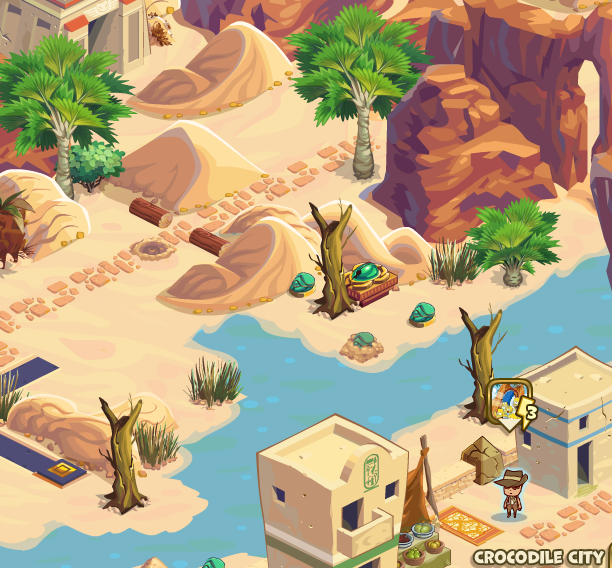 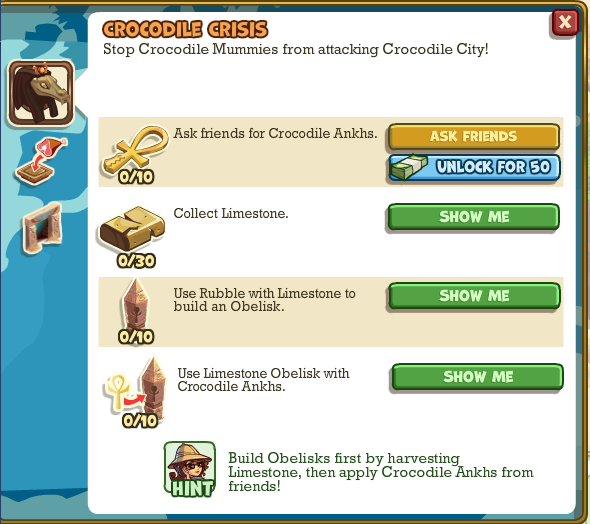 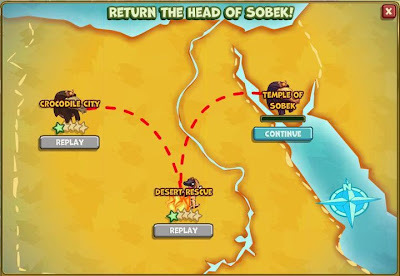 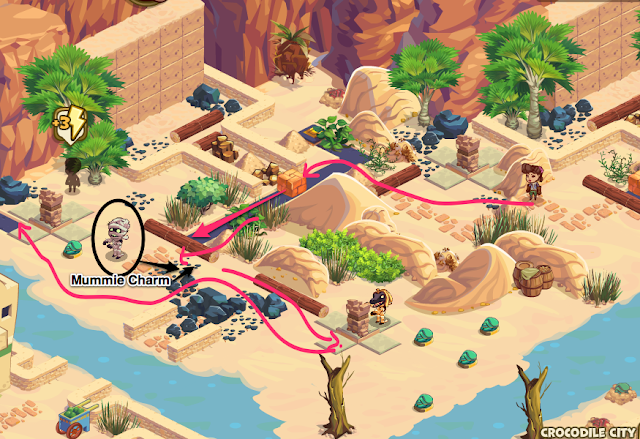 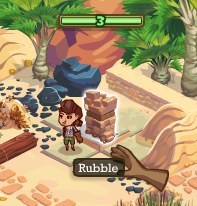 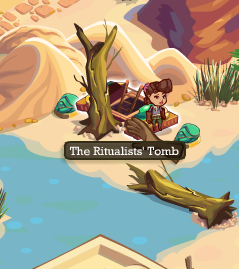 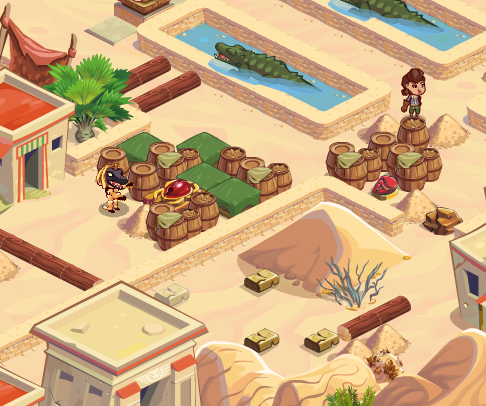 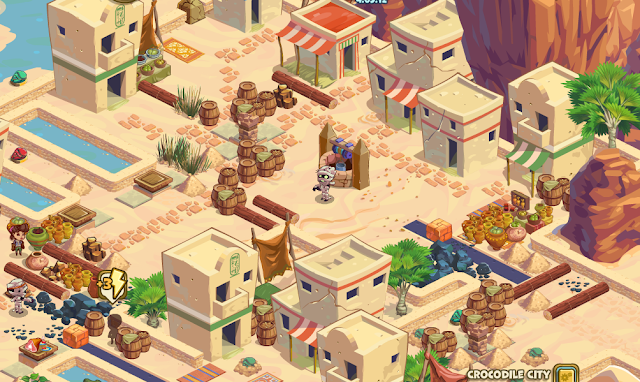 "Get through the barricades and come see me" says Sallah " Quickly, the Crocodile City is under attack by Crocodile Mummies!" 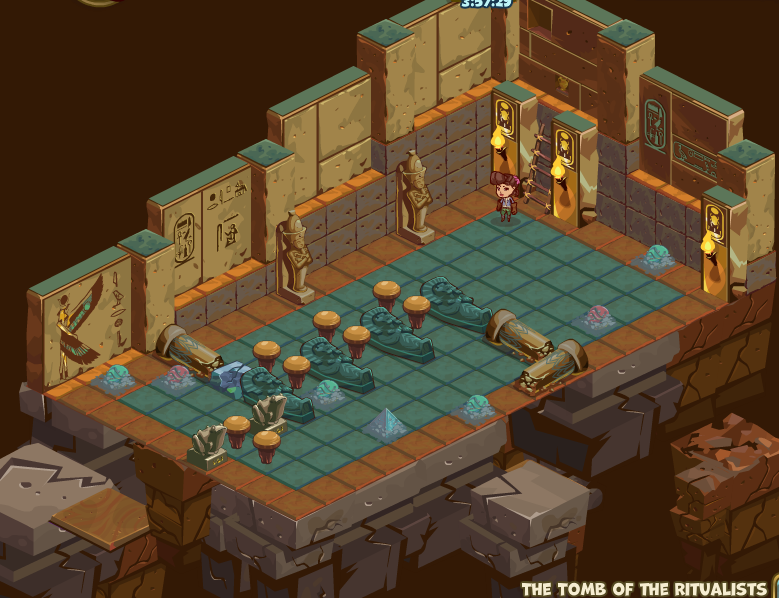 There is at this moment a bug with the Ancient Password. 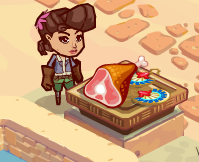 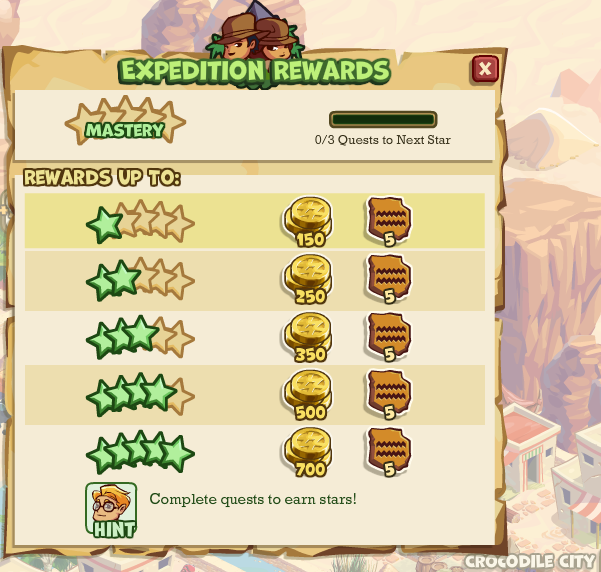 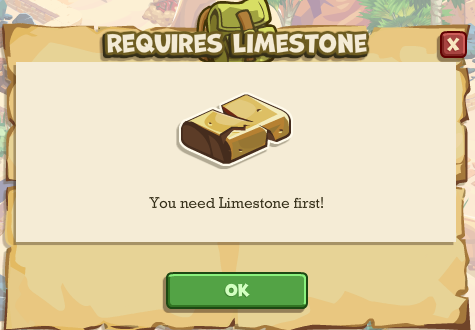 Zynga is going to fix this. 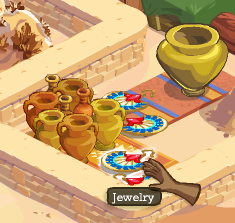 If you look, Ancient Password is not now in the Gadgets. 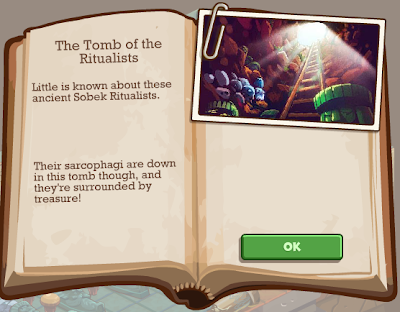 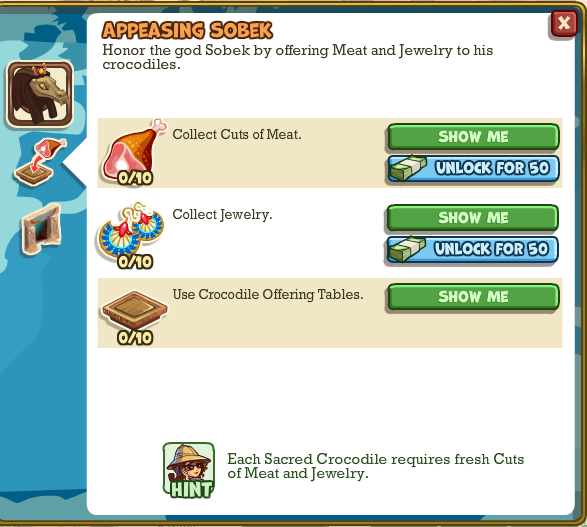 "Those of Krocodilopolis honored Sobek with offerings to sacred crocodiles"
"An unsavory group once controlled this village. 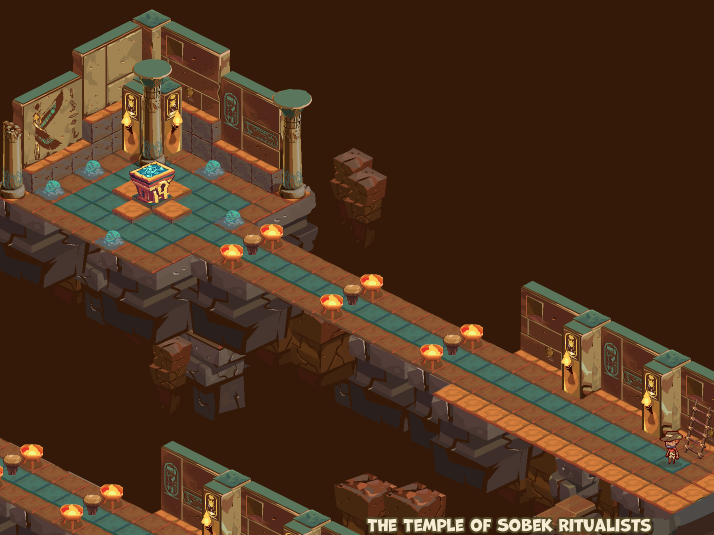 Their temple has long been barricaded, so could it be there is treasure there?" 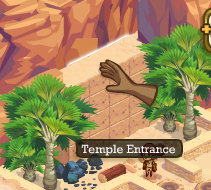 If you position the block to the tile, the wall in front of the Temple Entrance #1 goes down. If you position the block to the tile, the wall in front of the Temple Entrance #2 goes down. 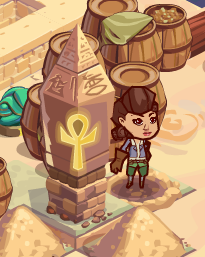 It is needed 3 Limestones and 1 Ankh to build an Obelisk. 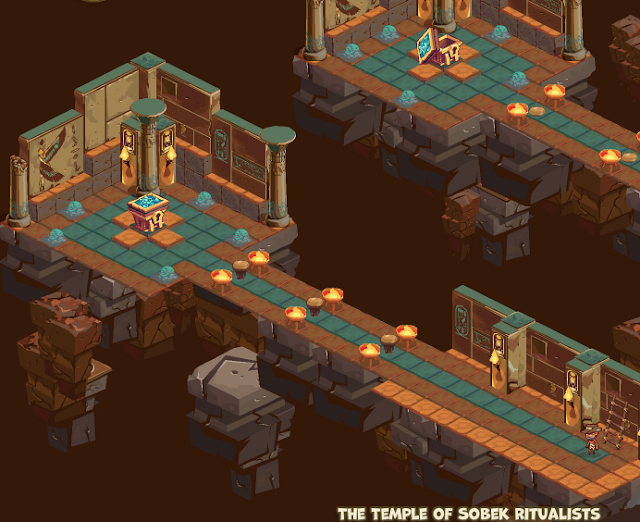 Near the starting point there are 2 Temple Entrances. 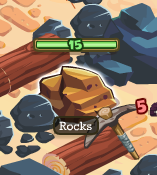 Position the blocks, if you still didn't and get inside. 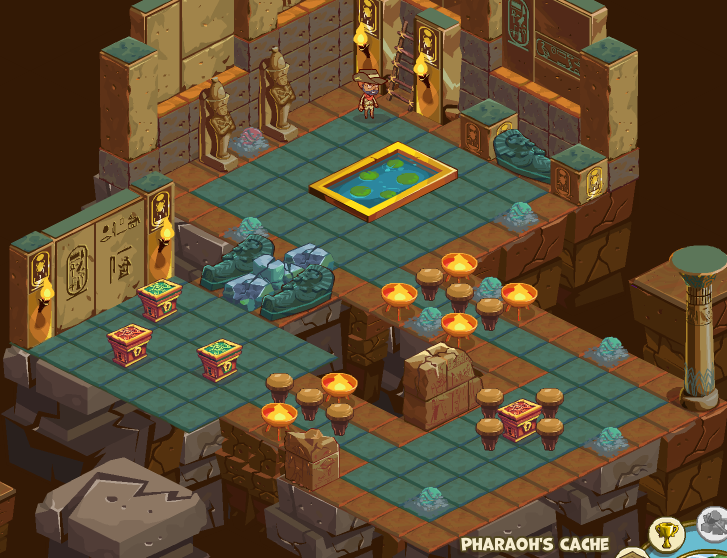 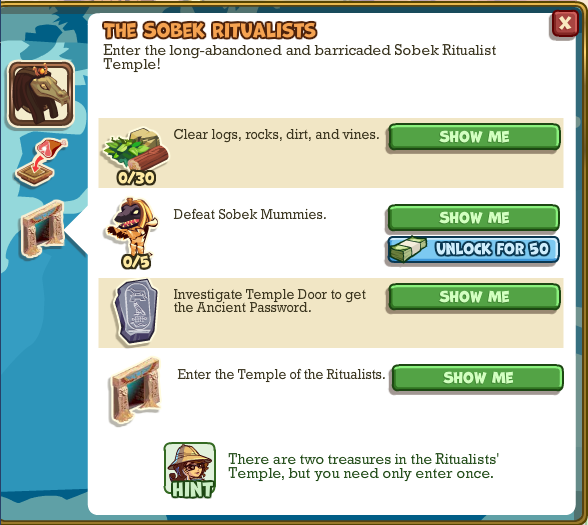 There is a bug with the Ancient Password and I couldn't use it, to enter the temple.